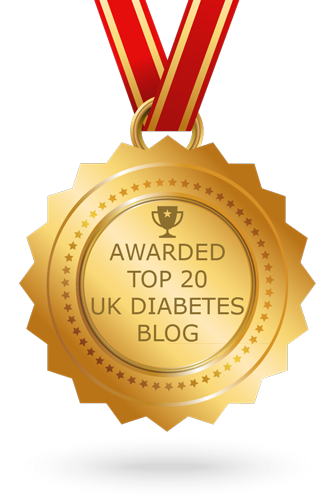 When we began writing about our experiences of living with Diabetes it was, at least in part, in response to a nasty overnight hypo brought on (I suspect) by the action of Lantus glargine. From some reading I have done since it appears I am not alone in this. That there are other people with diabetes using Lantus and injecting their dose at night time (recommended by the manufacturer and for most people the best option) who find they sometimes go low overnight, or wake up low in the morning. One of the difficulties in managing diabetes with MDI (multiple daily injection) basal-bolus is that if you don't get your basal (background) dose correct then everything else becomes incredibly difficult to manage. You have no firm footing on which to start your day. I think the late-at-night injection timing is suggested because it puts Lantus's onset period (perhaps an hour two until full strength) at a time when you have finished eating for the day and are usually if not actually asleep, then pretty much at rest. 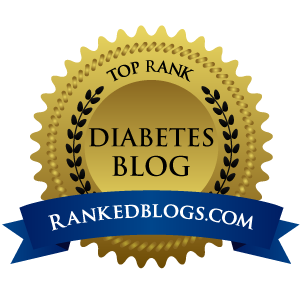 When I moved my injection to the morning, though my overnight levels were suddenly very steady and reliable, I had problems with high blood glucose spikes after breakfast. In response I began to split the dose, morning and evening, having a little just before bed, and the rest at breakfast. My hope was that this would spread the activity more evenly over the day. Sadly though, after a few months I can see that this has caused more problems, and not really solved anything. I found I was waking up low again, or waking slightly clammy having gone hypo overnight. On several occasions my liver then took matters into its own hands and began dumping glucagon into my bloodstream as it's own emergency measure. I would wake high, inject rapid-acting insulin and wait until my levels dropped before eating breakfast. After 2 hours or so I would give in, my levels still stubbornly high, eat a fraction of my usual breakfast and wait to see how things were going at lunch. Not only that but if the smaller Lantus dose didn't send me hypo overnight, then it had run out of steam by breakfast anyway and I was heading for spike central again after breakfast. Smaller doses you see, tend to act over a shorter time. With no Lantus hanging around, and anything from 15-45 minutes for Humalog to get going even a fairly low GI breakfast was going to cause problems. What my neice might describe as an #epicfail. So I've gone back to Lantus in the morning. Suppertime and pre-breakfast readings are more constant. The post-breakfast problem still exists, of course, but at least I've lost the overnight hypo and liver-dump double whammy. Last time I didn't spend much time experimenting with the timing of my breakfast bolus (rapid-acting) doses. My hope is that with enough time between injecting and eating I might be able to stay out of the teens between breakfast and lunch. 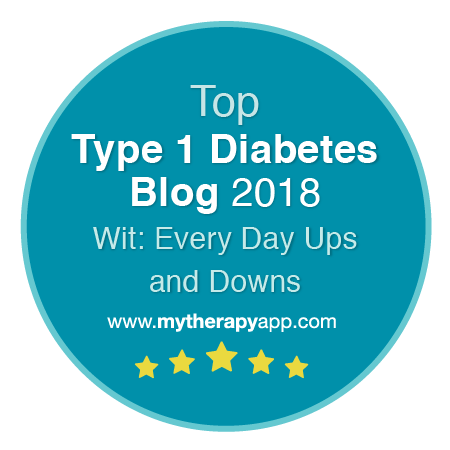 The other day I was reading on a forum where a fellow type 1 diabetic was struggling with a GP who was unhappy that they were testing too often. Someone else's GP had made a suggestion that anything more than two or three times a day was really a bit much. Actually I think they had talked their GP up from a prescription of 50 strips for 2 months. That's not much more than once a day. And certainly doesn't seem to acknowledge the DVLA guidelines for testing before (and every two hours during) any driven journey. In the southwest of the UK there is the busy 'North Devon Link Road', for much of its length overtaking is forbidden by a pair of white lines down the middle just a few inches apart. 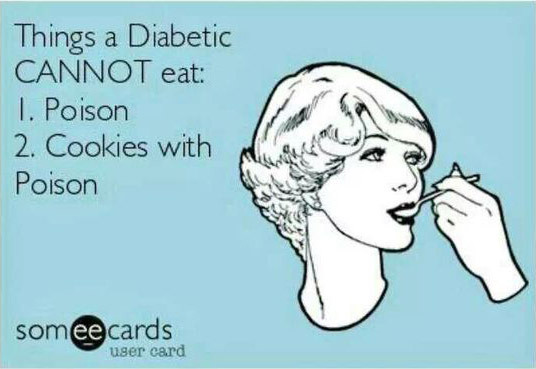 Being a diabetic is like being asked to walk along that line. Blindfold. And backwards. 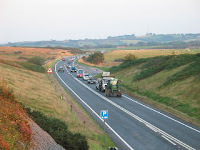 As it twists and turns you'll have to avoid straying into the surging hypo-traffic rushing up on you from behind, or the thundering diabetic-complication lorries bearing down on you from ahead. A few times a day you are allowed to peep out from under the blindfold to see where you are and make a correction. Though if you look more than 6 or 7 times a day your GP may well say that you are looking a bit too often, and they have read a report that said it makes your walk more difficult. You just need to try a bit harder. Or you are trying a bit too hard. You should try walking a bit more towards the lorry side for a while. In fact what you really want to be able to do is to cut some little holes in the blindfold. But unfortunately those CGMS scissors are far too expensive. If you are lucky you might get one for a week, but if it's an old pair the doctor would look though the holes at the end of the week, then sew them up again. Sometimes for all of us the road is wigglier than others. The traffic is especially heavy. The strategies and methods you usually rely on don't seem to work at all. Or work way too much. The road-walking equivalent of a dizzy spell. The current cloud on my weekly horizon is Mondays. I seem to need a different set of insulin:carb ratios to avoid drifting teen-wards all day. Especially bad in the mornings, by evening meal while trying to correct I can overdo it and then drift low. Monday is the day furthest from a usual gym session, which might have something to do with it - exercise has a knock on effect for me for quite some time. I'm still having a tricky time of things working out what the current Monday ratio needs to be. I could tell you what it was a few months ago, but that doesn't work at the moment. And that dear GPs is why we need to test so often. Very sorry if that is slightly financially inconvenient for you.